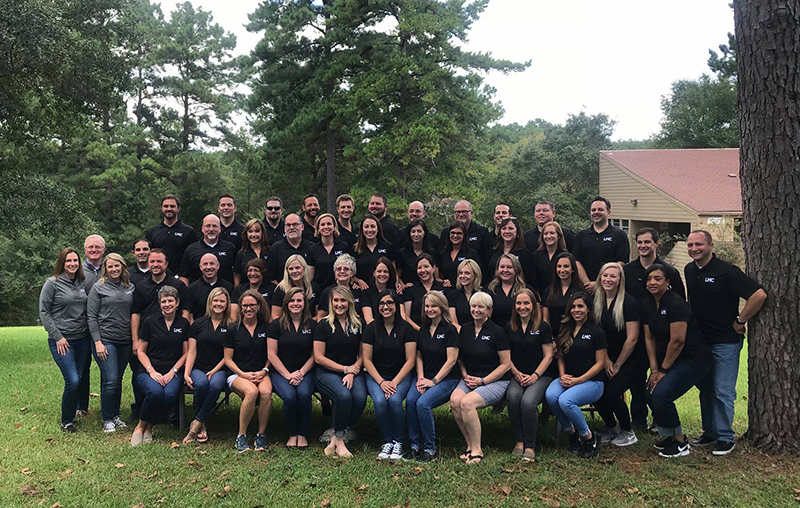 CONROE, TX – The Leadership Montgomery County (LMC) Class of 2019 is pleased to announce its class project benefiting Angel Reach. Angel Reach is a faith-based nonprofit organization based in Montgomery County that is dedicated to working with youth ages 16-24 who have aged out of the foster care system or are homeless. Angel Reach also provides a variety of services to assist the youth and families in the foster care system. 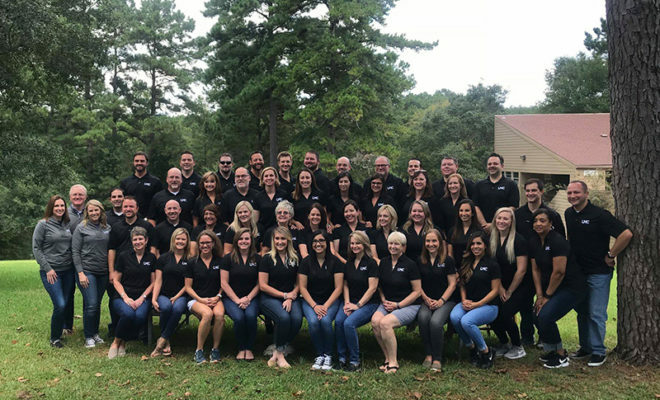 Leadership Montgomery County (LMC) class of 2019. One component of the organization’s outreach includes the management of a furniture and clothing resale center, currently known as Shared Treasures. Over the next six months, the LMC class will work with Angel Reach to enhance the furniture center by improving many aspects of its operations, including designing a system to handle the influx of furniture and household item donations as well as a program to train and employ the youth they serve. Partnering with Angel Reach, the LMC Class of 2019 project will utilize financial and in-kind donations to provide minor renovations to the facility, to develop a marketing plan to better reach the surrounding community, to procure inventory, sales, and human resources software, and to develop a training program for the youth who will be working in the resale center. The long-term goal of the project is to provide a foundation for the furniture center to thrive as a business as well as an opportunity for job training for the youth who work there. Angel Reach and LMC will host a Grand Opening in April of 2019 to re-introduce the store to the community. More details for the Grand Opening will follow in the coming months. For more information or to contribute to the project, please contact Brian Garcia, Finance Team Lead, LMC Class of 2019, at 281-297-2211 or bgarcia@entergy.com. 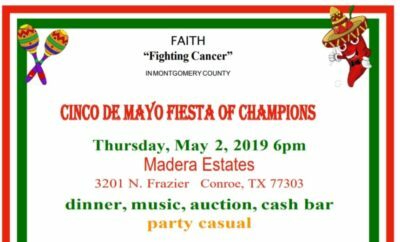 The Conroe/Lake Conroe Chamber of Commerce, The Woodlands Area Chamber of Commerce, the Greater Magnolia Parkway Chamber of Commerce, the Greater East Montgomery County Chamber, the Montgomery County Hispanic Chamber, and the Montgomery Area Chamber of Commerce are all partner chambers in the LMC program. Participants are chosen by application process in June of each year. For more information about Leadership Montgomery County, please visit LMCTX.org. Angel Reach is a faith-based nonprofit organization that works with youth who have aged out of the foster care system, as well as those who are homeless between the ages of 16 and 24. Many of these youth are lost, forced to survive on their own, alone and with no place to live. Angel Reach provides the support they need in finding their way to becoming emotionally stable and financially independent. Additionally, Angel Reach serves as a ministry that supports families who care for children removed from their homes by Child Protective Services. Their goal is to nurture these youth and equip them for productive and meaningful futures. For more information, visit angelreach.org.